Germany says violent Paris riots were 'terrifying' - SABC News - Breaking news, special reports, world, business, sport coverage of all South African current events. Africa's news leader. 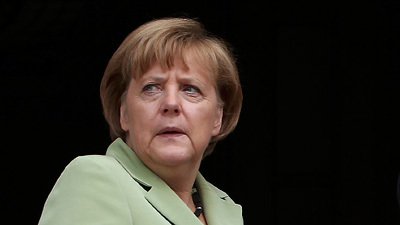 Angela Merkel's government described the violence in Paris as terrifying. A German government spokesman said Monday that the street violence that rocked central Paris during weekend “yellow vest” protests was “terrifying”. “The outbreak of violence and destructive rage in Paris this past weekend was terrifying,” said Chancellor Angela Merkel‘s spokesman Steffen Seibert. The famous Champs-Elysees avenue in Paris was hit by an arson and looting rampage by black-clad anarchists during a “yellow vest” protest Saturday. Police appeared overwhelmed as demonstrators ran amok on the avenue, with retailers there saying some 80 shops and businesses were vandalised. It was the 18th consecutive weekend of demonstrations which began in mid-November as a protest against fuel price hikes but then morphed into a potent anti-government movement. This entry was posted on 18 Mar 2019,02:16PM at 2:16 PM and is filed under World, Homepage Latest Stories Slider. You can follow any responses to this entry through the RSS 2.0 feed. Both comments and pings are currently closed.